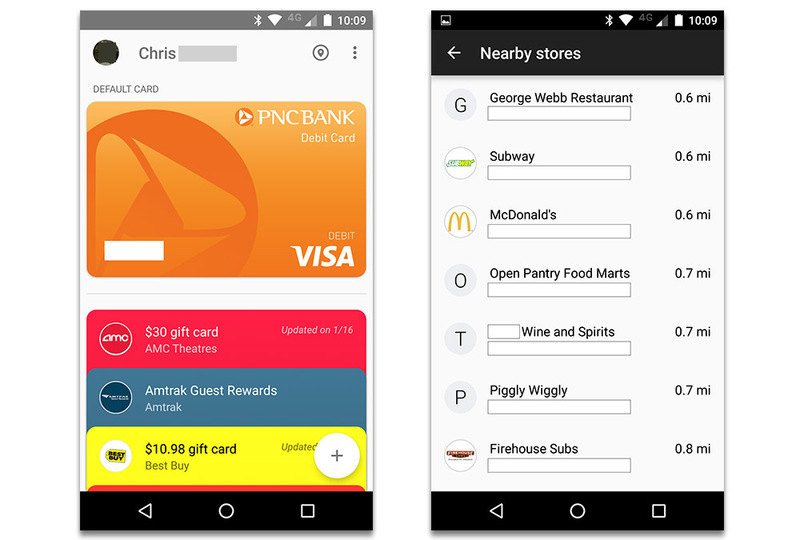 It looks like Google has finally started rolling out the new Nearby tab in Android Pay that was first discovered over a month ago. As you can see from the imagery above, at least one of our readers is seeing the new section of the app without having received an update, which basically means that this feature is rolling out server-side. So what is the new Nearby tab? Once it goes live on your account, you’ll see it available as a location-styled button in the top right of the app next to your name. A simple tap on it brings up a list of stores or retailers or restaurants that will accept Android Pay and how far away they are. It’s kind of like Pokemon GO’s nearby…only it actually works and probably won’t be removed in a later update. And that’s pretty much it. Neither of us are seeing the tab yet, so it could be that the rollout is only just beginning. Let us know if you see or it or have had it for some time.